Until now the old religions of Britain have only been looked at in a piecemeal way. 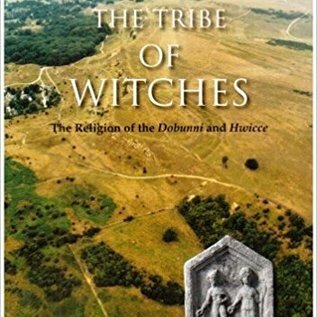 This book presents a detailed and focused investigation of the religion of the Dobunni and the Hwicce peoples who occupied the Severn valley and the Cotswolds immediately before and after the Roman occupation. It uncovers some secrets of the old religion of Britain that have lain hidden in reams of unconnected and largely forgotten information, from a variety of sources. The first part of the book concerns the deification of the natural world; the second, the deities of the tribal groups. 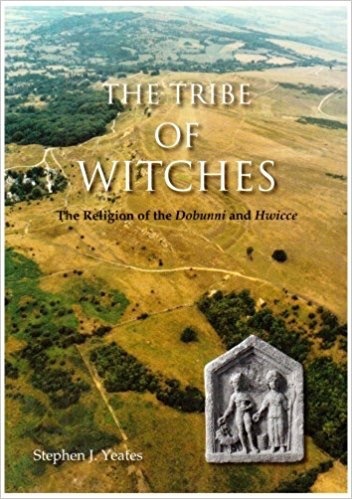 It explores the deities of the different areas of the Dobunnic/Hwiccan territory; identifying the goddess of the Cotswolds, and describes how the worship manifested itself. Yeates demonstrates how the deification of rivers was important and how this has led to the location of a number of ancient river shrines as well as the identification of a number of monumental arrangements used by the peoples in their religious activities and folk-group identity; numerous recognisably pre-Old English folk-names are also shown to relate specifically to river-names, town-names, and folk-group-names. The religious use of the hill-forts, of which there are so many dotted over the landscape, and their shrines is discussed. These are connected with mineral extraction, warfare, nemetons, and sacred groves. The use for standing totems and burial practices is also covered. Once the associations are made between deity, river, and folk-group, and all other aspects of religion have been discussed the deity who resided over the Dobunni is revealed. Her cult, which was evident in the major Roman towns, can be traced back into the Iron Age, and can be identified as the inspiration for the tribal name Hwicce. This shows an element of continuity in British culture, not recognised previously because of the assumed obliteration of British culture due to the extent, success, and longevity of the Roman occupation and Anglo-Saxon migration. Understanding the tribal goddess also explains why this people were "the tribe of witches". Finally, it is recognised that these gods did not perish but persisted in medieval legends, traditions and place-names. Although at its core this is a study of two British tribes, the work will have a major impact on the understanding of pre-Christian religion not only in Britain but also in Western Europe generally.